Father Frank Brennan, a well-known Australian Jesuit priest and writer, was invited to speak at the Catholic Care Tasmania conference in February. However, the appearance was blocked by the Archbishop of Hobart, Julian Porteous, who took exception to Brennan’s support for equal marriage. 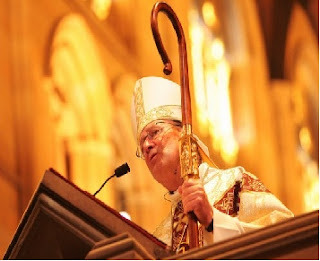 During Australia’s public vote on equal marriage in 2017, Brennan had urged Catholics to vote for equal marriage “for the common good” – in a break from the country’s Archbishops, who orchestrated an anti-gay marriage campaign and distributed ‘No’ leaflets in churches. Archbishop Porteous, a strong opponent of LGBT equality, confirmed the decision to ban Brennan from speaking. LGBT campaigners branded the Archbishop a hypocrite for clamping down on pro-gay voices while regularly complaining about his own free speech being ‘violated’.